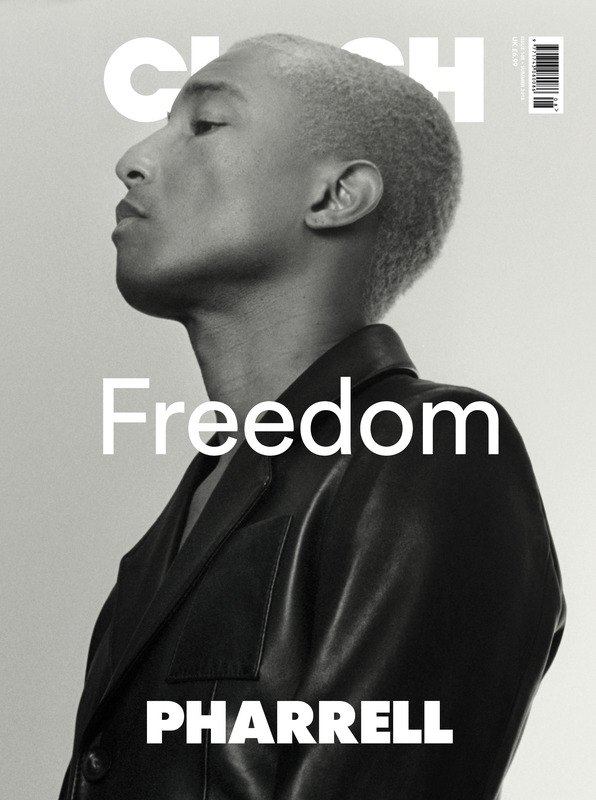 Pharrell completes an iconic issue that also includes Billie Eilish, Anderon .Paak, Troye Sivan, The Spice Girls, Kris Wu, Buddy, Gaika, Bad Gyal, Yungen, Ravyn Lenae, Peter Buck, and much more. Pharrell wears black leather jacket by Wales Bonner. Pharrell was shot in Clash Studios, London.